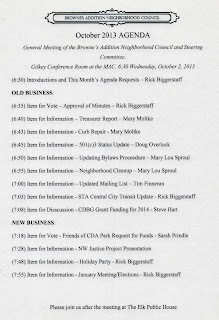 The October meeting of you neighborhood Council will take place this Wednesday evening. Same time, (6:30PM) Same place (The MAC). 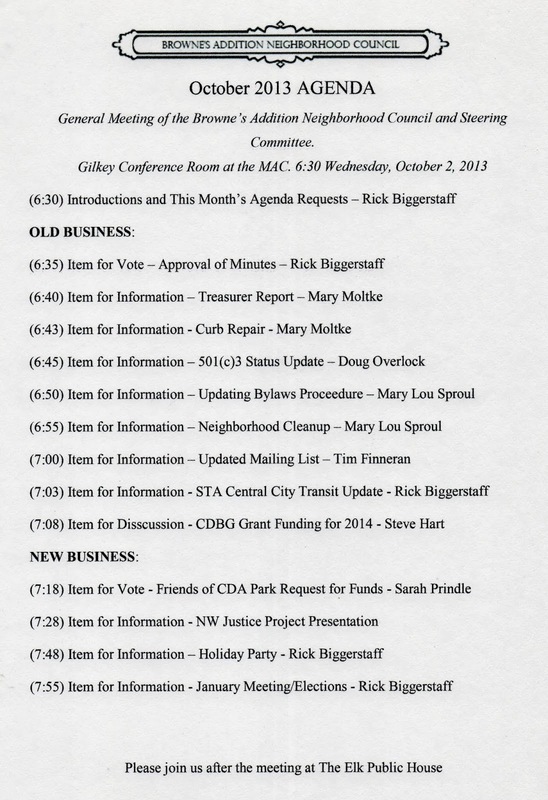 We will be discussing the updating procedure to our bylaws, the STA Central City Transit proposal, and a status update on our 501(c)3 designation. Also, we will have a presentation from the NW Justice Project, and vote on some urgent funding for the Friends of Coeur d'Alene Park. It's all in the agenda below. Be there, and take an active part in your neighborhood!